Anil Joshi, Local Government Minister, Punjab has desired that cleanliness, which is next to God, should become a mass movement. While congratulating the BJP led NDA government on the completion of one year service to the nation, he expressed the satisfaction that the BJP was working for an all inclusive growth of society with its distinct social engineering pro-people agenda.Mr. Joshi stated that the `Swachh Bharat Mission’ is a flagship mission of Prime Minister Mr. Narendra Modi and all officials of the Local Government department should put in their best efforts to make it a success. He also directed the officials to ensure uploading of data on the ‘Swachh Bharat Mission’ website which will be reviewed regularly. The Minister applauded the efforts/assurance of big houses like Mahindra& Mahindra at Mohali for providing set of public/mobile toilets for the public utility to Municipal Corporation Mohali. The officers have been asked to explore the possibility of private partnership under their CSR (Corporate Social Responsibility) initiatives. He appealed to big business houses to come forward for such works which would help the society in a bigger way. 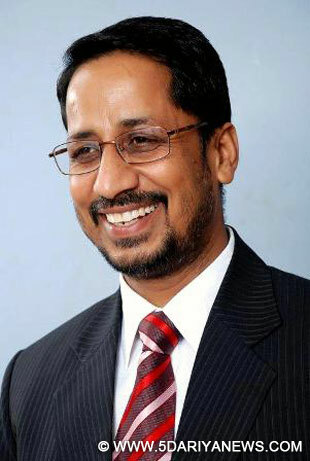 Stating that no movement could become a success without public support & cooperation, the Minister said that community kitchens (Langar) should take care of the sanitation aspects and advised the officials of the departments to provide dumpers during these celebrations by charging a nominal fee from the organisers. User charges be applied on the basis of Polluter Pays Principle from domestic as well as commercial establishments for door to door garbage collection. The department should start a public awareness drive by involving all stake holders. The Minister has asked the Secretary of the department of find out ways to curb the plastic nuisance to be worked out preferably through a state level law. In regard to energy saving in street lighting, Mr. Joshi informed that a team of officers from Punjab Municipal Infrastructure Development Corporation (PMIDC) visited `Municipalika 2014’ at Vadodra (Gujarat) and obtained first hand information on design based installation of street lights; installation of micro processor based intelligent lighting street light controller and Gujarat State Govt policy on installation of street light. The Vadodra Municipal Corporation has won 4 national awards for achieving energy efficiency with its innovative measures for achieving optimum energy efficiency, highlighting the concept of procuring lighting and concept on use of energy efficient lamps and time management for energy saving. The Minister informed that a team of street light engineers from VMC would be visiting Punjab soon to organise a state level workshop for Commissioners, Engineers & EOs to understand the concept of smart street lighting and innovative methods undertaken by VMC.